Hi Gregg, Thanks for posting all this about my firm, much appreciated, you must have spent quite some time doing it. The colour hardened A A Brown you feature has been sold at the end of May. 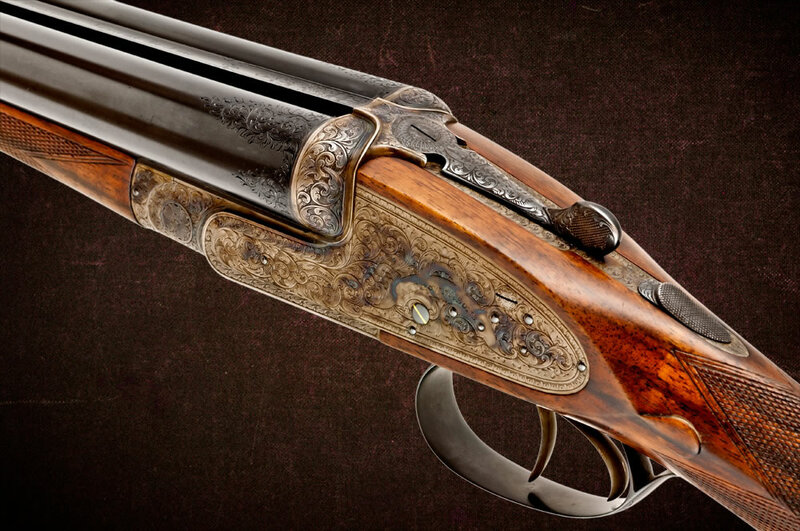 The other WR gun you refer to as possibly being made by Browns was, in fact, not made by us. Thank you also for referring to my sons photography website. The url for that has to have a hyphen or you go to another site, that of a photographer in the States, aslo called Matthew Brown. 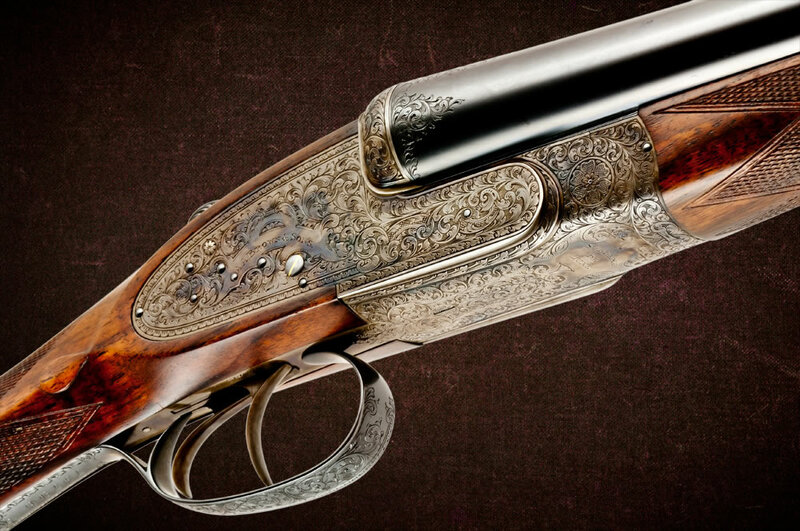 The correct one for looking at his gun galleries is http://www.matthewbrown-photography.com I can see that you got the correct link mind you which shows you did your research correctly. 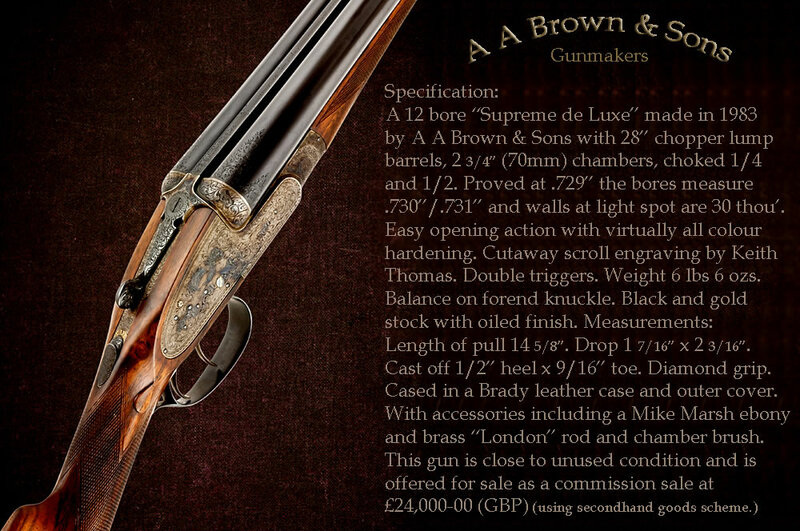 Doug Tate emailed me earlier to draw my attention to your blog entry, he also mentioned Gavin Gardiners press release for his next auction in Scotland that will include the A A Brown Jubilee pair one of which featured on the Shooting Gazette cover this month. Again. Many thanks, regards. Robin brown. Thank you for your note. I appreciate your input and love your guns. I updated the post, so everything should be correct now. I’ll keep an eye out for the Jubilee Pair. I’m sure Gavin Gardiner will do well with them. Please let me know when any other Supreme de Luxes come on the market.